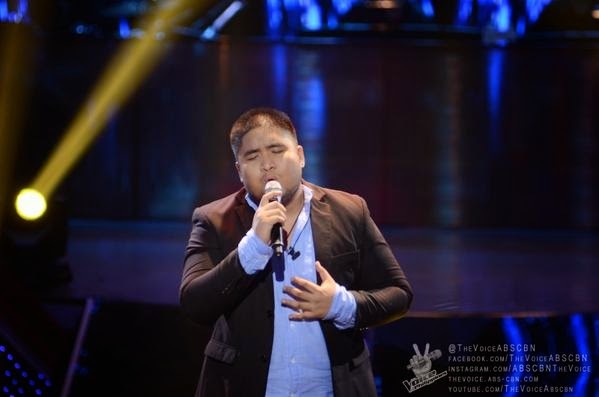 MANILA, Philippines - Jireh Singson performed Sugarfree's hit 'Makita Kang Muli' during the final leg of Blind Auditions of ABS-CBN's top-rating and Twitter-trending singing reality show 'The Voice of the Philippines Season 2 aired on Saturday, November 29, 2014. Singson, 21, from Makati City was able to turn red chairs of Coach Apl.de.ap and Sarah Geronimo. Singson picked Team Sarah. It also marks the beginning of the next stage of the competition – the battle rounds, where two artists from each team will face off by singing a song picked by their coach. The Saturday's episode of 'The Voice of the Philippines' Season 2 dominates online conversations with '#FinalBlindsPH' among the trending topics. Don’t miss the finale episode of the blind auditions in “The Voice of the Philippines” Season 2 this Sunday (November 30) 8:30 PM on ABS-CBN.